Buffett’s Recent Investments Suggest Confidence In Economic Growth. The Economy Has Legs and So Does the Market. Uninterrupted Market Rise Raises Probability of A Normal Pullback. Even Though March Has the Potential to Be Volatile, the Overall Secular Uptrend Remains Intact. 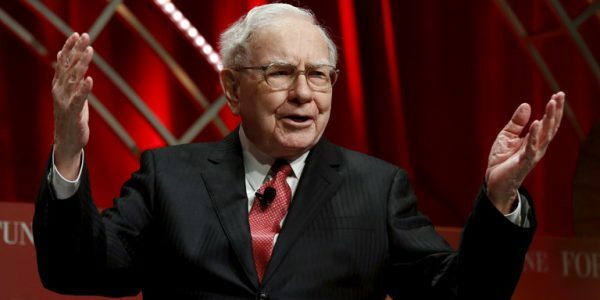 Warren Buffett is a peerless value investor. With his recent sweeping investment in the airline industry, Buffett has made it clear how he feels about the economy. 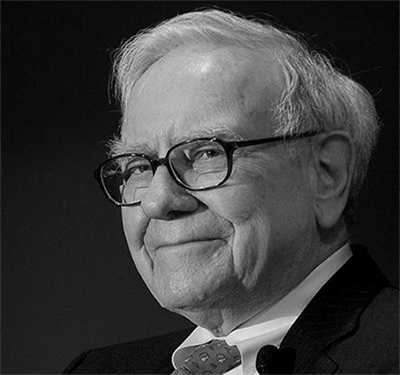 Buffett’s investment timing in a highly cyclical airline industry can quite forcefully suggest one thing – Buffett views the economy as steady and strong going forward, and not heading for a cyclical downturn anytime soon. Now Buffett’s investments always have had time on their side, and are typically held over many years. But even then, an investment in a cyclical sector with the economy into its ninth year of expansion, the third longest on record, is suggestive of Buffet’s confidence in the future. No one likes to invest at a peak - not even Warren Buffett - particularly with the second longest Bull market already in place at 95 months. The legendary investor has been increasing his stock positions quite meaningfully, including a quadrupling of the position in the technology giant Apple (AAPL). Buffett's confidence in the economy may not be misplaced. Earnings reported for the December quarter for 410 (82%) of the S&P 500 companies indicates a growth rate of 4.6%, as per Factset. The forward Price-Earnings (P/E) ratio for S&P 500 companies now stands at 17.6x, higher than the 5-year and 10-year averages of 15x and 14x, respectively. As noted in a related article, The Stock Market Is Heading Higher, the higher P/E reflects an upbeat market, with valuations moving faster, and earnings expecting to follow-through. That expectation of improving earnings is predicated on a stronger economy, underpinned by consumer and business confidence, and to some extent on the expectation of forthcoming cuts in corporate tax rate. Since 2008, stocks have appreciated at a 7% annual real rate, after inflation. The present year has started on a strong note with multiple all-time highs being recorded by major indexes. As of last week, the Nasdaq Composite (QQQ) was up +9%, S&P 500 (SPY) +5%, Russell 2000 (IWM) +3%, and the Dow Jones Industrial Average (DIA) +5% for the year. These gains have been surprisingly steady in a political environment that can be described as dynamic, fluid, and somewhat unsettled. The markets tend to climb a wall-of-worry, which appears to be precisely what the market has been doing for many months now. There is a preponderance of evidence suggesting that economic and earnings growth are expected to continue. Quite important is the consumer and business sentiment, which plays a meaningful role in spending patterns. Both sentiment indicators have recorded strong readings. Furthermore, the individual investor sentiment has been far from euphoric, in spite of repeated stock market highs, as indicated by the AAII Investor Sentiment Survey below. A point to be noted is that the bullish sentiment is below the historical average. 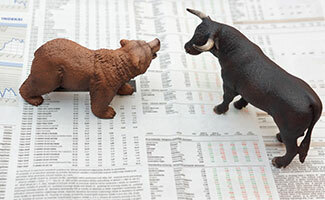 Investor sentiment is a contrarian indicator, with high levels of bullishness or bearishness suggesting a high probability of a change in trend. As the market continues to head higher, without a typical pullback, it leaves more investors on the sidelines. Since the beginning of November, the S&P 500 is up +11% and the Nasdaq Composite up +13%. It is natural for the chances of a pullback to rise after a relentless and uninterrupted rise. But any such decline in the normal course of events should be of shorter duration, primarily as the economy appears to be shifting to a higher growth trajectory in anticipation of new pro-growth policies, and partly as new money receives an opportunity to enter the market. In our judgment, the one thing that has the potential to trigger a sharper pullback can be a delay in a corporate tax cut plan or a tax plan that is underwhelming. A White House tax plan is expected to be released in the "coming weeks" as per the President. We anticipate the next month, March, to be volatile as the Federal Reserve meets to determine the course of interest rates, and the framework of a new tax plan emerges. But we strongly believe the market remains in a longer-term uptrend, even though we may see additional volatility heading into next month. The most important thing is to remain flexible and recalibrate the portfolio as market conditions evolve. Manage the risk, but don't let stubborn opinions get in the way of making money. Roll with it. And if there's a little danger what the hell … you're not going to live forever." The economy has legs, and consequently, so does the market. Warren Buffett sees it from his perch!